I’m not a fan of western superhero franchises. Yes I fully appreciate that I’m in the minority here and it’s certainly not my intention to turn you away in the first sentence, but rather to solidify the fact that this exploration of colour in cinema does not come from a fanboy solely driven by vapid, one dimensional characters and napkin narratives, but rather pure adoration of a masterwork in cinematography. Like I said, I’m not a huge fan of the current western superhero money train, so when Daredevil was released on Netflix almost four years ago to the day, I was far from interested. But thankfully, a good friend essentially insisted I watch it for the cinematography alone and advised me to mute the audio if I really wanted to. Thankfully I did check it out and I was immediately enthralled by the rarely seen magnificent colour work throughout that 1st season. The 2nd season wavered a little, but the 3rd season was back to full strength and frankly, in my opinion, it’s incredibly rare to see colour work at this level in big budget movies, let alone TV series. 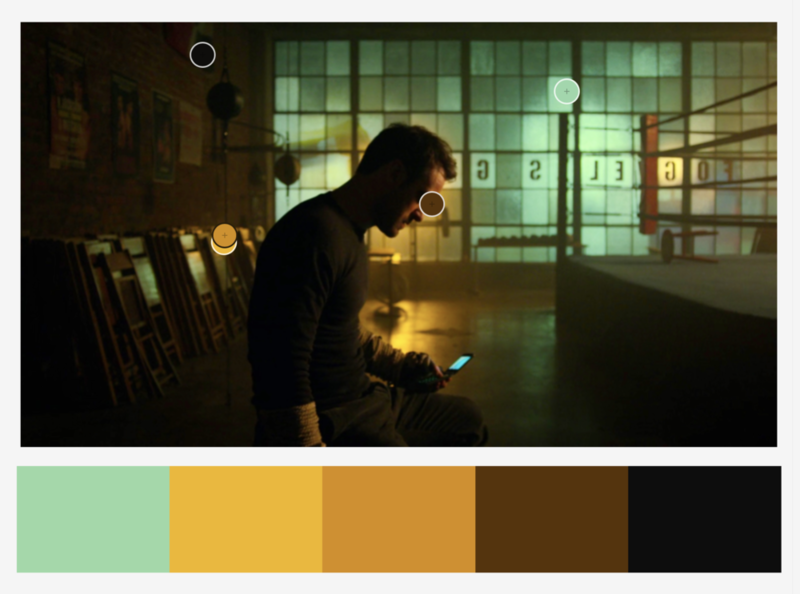 It is this potentially 3rd and final season of Daredevil that I want to explore today so let’s begin by taking a look at some of those beautiful colour scenes that are present throughout the entire last season. :SPOILER WARNING: This article shares images from the final scenes of the show. If you’ve not seen Daredevil yet then please go check it out before continuing. Please note that all of the images shared in this article are owned by Netflix. Bear in mind that the quality is less than ideal due to me having to screen grab the reference shots from a browser. In the following images I have brightened them slightly to reflect more how they look when viewed on a modern, very bright HD T.V. 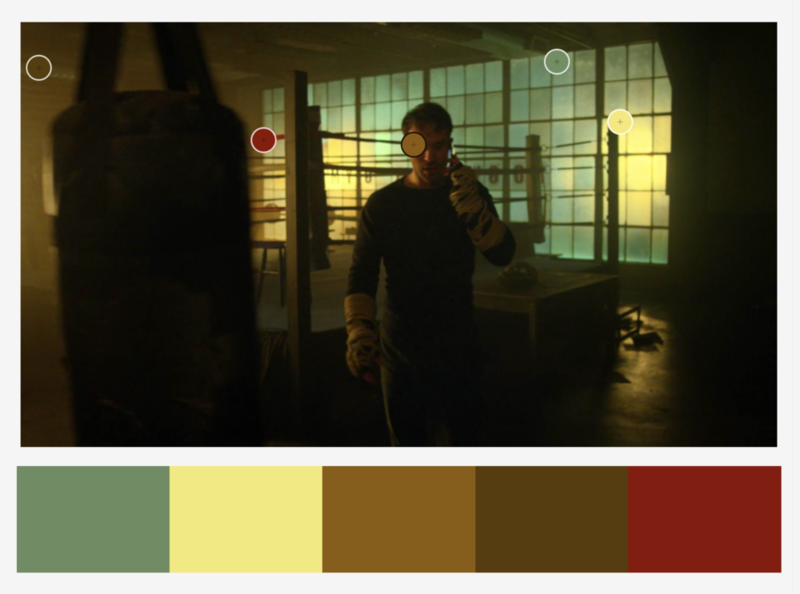 Below are a series of shots that reflect some of the best colour scenes throughout the 3rd season of Daredevil. Many of these colours are representative of locations or characters throughout the course of the season and later on we’ll explore one of the core evolutions of colour that the characters go through. Note: Clicking on any of the images in this article will enlarge them to full screen. You should be able to see that although muted, the colours in these scenes are very tight and purposeful. What I mean by that is that the colours are all very intentional and are working together. Even in very visually busy scenes like the final shot above of Foggy at his parents shop; all the tins and cans are colour harmonised. The scene of Fisk at the old ladies house; all yellows and blues are complimenting one another, nothing is out of place. This is intentionally crafted colour at it’s finest. In this next section I’d like to look at how Daredevil colours its characters for every scene. Sometimes those colours will blend or evolve over time (we’ll look at that in more detail later), but most characters in this season are harmonised by certain tones and colour. 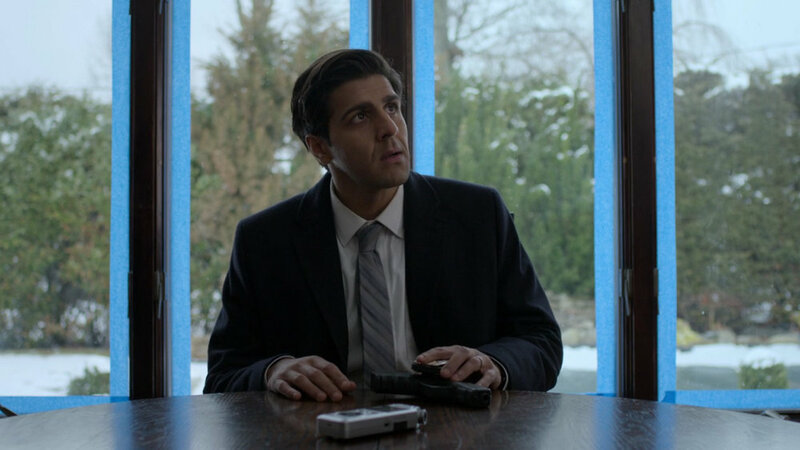 Throughout the season we encounter a confused FBI agent struggling to do the right thing and nearly every time we see him, he is surrounded by dark blues and soft yellows. Pay close attention to the toning in the scene where he’s in Matt’s apartment, even the painting on the wall is blue, the pains of glass and the furniture all bed into the scene with this colour harmony. Further extend that to when we shift to Karen and she’s now in blue, something that we barely see again apart from here. Also details like the yellow bowl and forensic number tags along with a blue tool box. Nothing, once again is out of place. These two characters are often depicted as being ‘on the same page’ in terms of their understanding of the story in front of them. They may not always be working together but they are seen as inseparable friends. As a result, their colour scheme is often blended and harmonised with greens, yellows and soft blues. Throughout season 3, both Fisk and Dex are clearly the bad guys, and although they both go through their individual evolutions, the unifying colour in this season for evil is almost always grey. Even when Dex is wearing the iconic bright red Daredevil suit, it’s so darkly lit and cool toned that it still appears grey. Also note the subtle overlaps of colour here with the FBI agent standing behind Fisk; she’s wearing a blue shirt. Oddly, this season sees less of Matt than previous ones, and we actually never even see him even wear the iconic Daredevil suit at all. But this is season 3, and if you’ve watched up until this point, you’ll most certainly know that the colour red is synonymous with the character and we get nods to it throughout without him actually needing to wear the trademark outfit. In many of Matt’s scenes we see him struggle with who he is and as a result we often see a blend of colours trying to affect him. In the first image below we see Matt being chased by the FBI and he is almost always surrounded by large amounts of blue in the scene. He appears small in frame and often lit by spots of red. Far from his powerful red suit. Even in scenes without Matt in them, we can still see the colour red when other characters talk about him or if we are witnessing a scene at the church, a place that is seen as Matt’s home in season 3, and that is bathed or accented in red as well. Of course there are always times in the season when characters and ideas collide. Here’s some examples of how they are dealt with very cleverly with colour in the show. In this short but poignant scene, we see Karen standing up for herself as she approaches a group of young reprobates. Behind her we see the muted greens and yellows we often see when she’s with Foggy, but in stark contrast to this, she is now bathed entirely in a red light as a rather clear reference to what Daredevil and his vigilante ways used to do and perhaps what he should be doing now instead. This is a colour reference to how Daredevil has affected Karen in her life and how she’s coping with his absence. In the scene above we see Daredevil beaten and fleeing a scene. He never actually wears his signature colour red but here he’s caught in a red light and is surrounded by blue. Throughout this scene Matt is on the run from the pursuing FBI and he almost always surrounded by the very blatant colour blue. Again, this is a very clever and clear way of telling story with colour alone. In this shot we see Fisk speaking to the public at a press conference held by the authorities. Fisk is portrayed throughout this season with greys and whites and once again we see him here dressed in those tones, yet he is surrounded by elements of blue. The archway behind and the microphones and phones in front are all accented in blue as well which is visually signifying his association with the FBI and authorities. In these last examples we see the three friends in the same scene. This actually happens very rarely in this season and as such the colours get a little blended. We have the yellows, greens and accents of reds but these scenes are usually the least intentionally coherent colour scenes in the show. 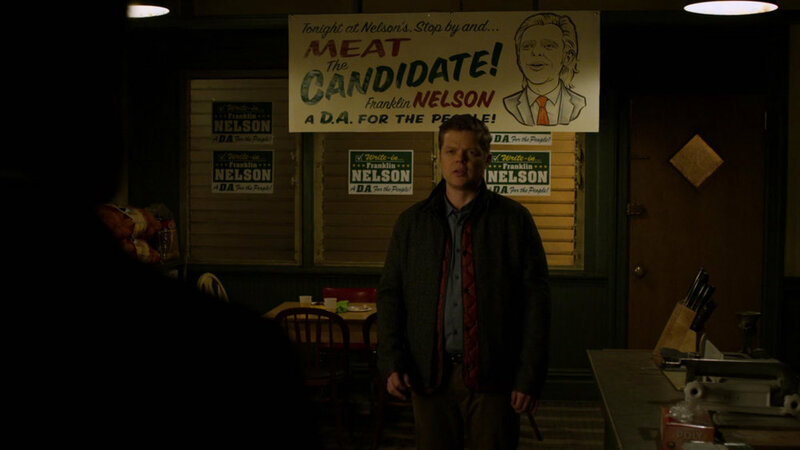 Many shows will use contrasting colours within a single scene, and although Daredevil doesn’t avoid this, they usually prefer to use more colour harmonies within a single frame. But one thing that Daredevil does remarkably well is to use strongly contrasting colours between scenes to keep the viewer visually engaged. One clear example sees a very warmly lit dinner scene with Karen that then quickly transitions into a very dark and cold scene of Foggy waking from a nightmare. Take a look below at another set of scenes. In this example Matt is transitioning from a cold blue into an eery yellow/green and then into red and then back into yellow after that once more. In this scene there is also nods to the colours throughout as we can see the eery green through a window in the door of the blue scene and we even get a shot of a guy opening a door that sees them rush into the red. This is hard to do convincingly because upon reflection this seems ridiculous when analysed, but when viewed in context, we never noticed it, nor do we question it. This is in part due to us a watching a superhero show and the inherent temporary suspension of reality that this demands of the viewer, but also due to how well the colour play is constantly orchestrated from scene to scene. Our brains are taught to accept it and this all the more apparent when you watch this scene out of context. 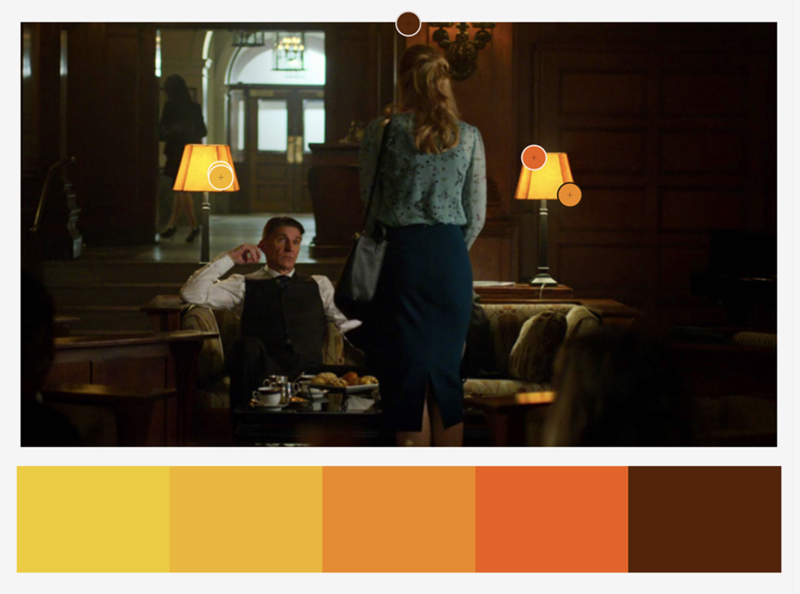 But by pulling this colour contrast technique off from scene to scene engages us as we are visually told of dynamic changes in scenes within a single larger one. This evolution of colour is the main reason I wanted to chose Daredevil to analyse to begin with. This 3rd season does an incredible job of growing and shaping their characters over the 13 episodes and I’ve not seen it done this well in a very long time via colour alone. The two core characters of the show are Daredevil and Fisk, so I’d like to explore how they evolve throughout the season in terms of colour alone. We all know by now that the colour red is synonymous with the character Daredevil, but this colour transformation has already happened to Daredevil by the time we join him in this series. This season 3 poster artwork above is hardly subtle, but it’s pretty clear here that Daredevil is literally shedding his suit and colour for this season. With season tag lines like “Do not fear the dark. Become it” and "Let there be darkness.” It’s pretty obvious from the first episode that Matt has already seen his evolution of colour. Just take a look at Daredevil in the first episode. We can already see the subtle metaphor of ‘becoming the dark’ has already taken full effect on Daredevil and although we don’t see much in the form of an evolution throughout the season for him, we always see him accented by it and finally by the end we see a little bit of red creep back into is character once again. The real evolution of colour in this show though is actually most apparent in Fisk. Take a look at the shots below to see how they visually transform him via colour throughout the season as this is a masterclass in colour evolution. The first few episodes see Fisk locked up, but he’s always shown in shades of grey. His outfit is grey, and his stark barren environments are always desaturated and grey. Shortly after that, Fisk gets some of his outfits and personal items to decorate his space. It’s now that we see a shift into the pure white and stark look. His property also gets a few accents of gold and hints of cool blue dotted about, but overall Fisk and his character are kept very muted in tone. As the season progresses, Fisk gets more power and the tone turns to a warmer hint of golden yellow in the whites. This is a subtle shift that is almost unnoticeable when watching the show in context. Lay it out here though and the colour shift is far easier to see. The next evolution in colour comes with the arrival of his partner that has been in hiding until now. Vanessa arrives and Fisk’s apartment is now fully accented throughout in golds and yellows. One other interesting point to note here is that although we don’t see many scenes with Vanessa, her character also undergoes her own swift colour evolution. Look at her black dress when we first see her here. 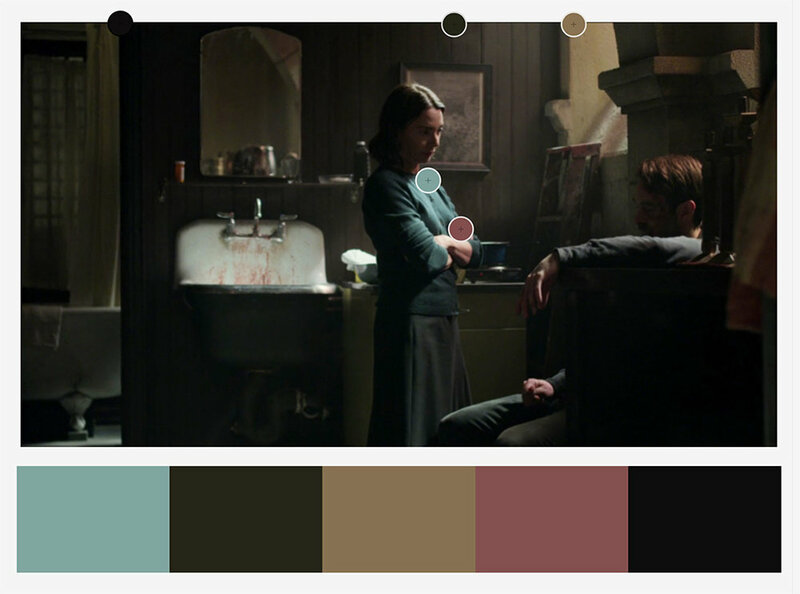 The following morning is a beautiful colour scene and the colour harmony we see between the two characters amongst the gold and grey tones on the scene is exquisite. From the gold lamps behind, to the brilliant yellow of the eggs in the omelette. There is also a moment where the two characters literally transfer the brilliant colour between them via the orange juice. Also note that Vanessa is now in a grey dress compared to her darker black dress the night before. As we approach the final episodes, both Fisk and Vanessa reach the end of their colour evolution and are now both dressed head to toe in pure brilliant white. The season reaches its conclusion with all of the main characters finally in the same scene. Daredevil, Fisk and Vanessa are now all embroiled in the same problem and we finally get to see the signature Daredevil red on both him as well as Fisk and Vanessa in the form of blood. There’s a nice touch here too as if you look closely, you’ll see that Matt is actually wearing a scarlet red T-shirt under his black top that is the exact same colour of his old Daredevil suit. Daredevil never fully returns to his true red self after this, but we do see him with subtle accents of it in his very slightly red glasses. Look at a shot of him below from the first episode compared to the last. It’s subtle, but it’s there. I’m not so proud that I wont repeat myself again here but…. this is simply masterful colour work. This is far from a single persons work too. I think every episode in season 3 was also directed by a different director so it would be hard to sanely praise them for this colour cohesion masterpiece. I will just mention that the same cinematographer did work on all 13 episodes and based on how this final season stands out over the others to me from a colour standpoint, it’s probably worth acknowledging his skills and likely infinite patience needed to work with a new director on EVERY episode. Cinematographer Christopher LaVasseur needs a damn medal in my opinion and congratulations to him for this. But of course, set designers, stylists, lighting guys, the list is almost endless so go check out who was involved on IMDb Cast & Crew of Daredevil. Granted you’ve probably already seen Daredevil by now if you’re reading this but if not, head on over to Netflix to check it out immediately. If you have any other suggestions for future explorations of colour in cinema and TV then let me know. If you’re after more tips and tricks on studio lighting then don’t forget to check out my monthly newsletter and my free 10 page pdf on studio lighting techniques. If you’re interested then follow the link below and download it immediately. Did you receive my FREE 10 page PDF on Studio Lighting Tips yet? Sign up to my monthly newsletter and receive my free 10 page pdf of my all time ‘Top 10 Photography Tips & Techniques’. 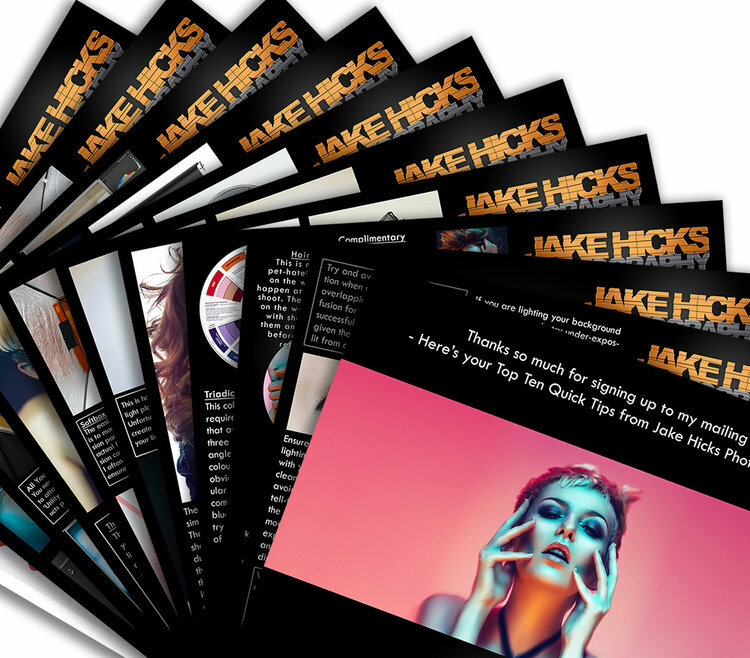 Once a month I’ll send you a newsletter of at least four photo related tips and tricks (one for each week I post them on here if you miss them) plus I’ll also keep you apprised of my new workshop dates as well. Sign up now and you’ll get yourself a FREE 10 PAGE PDF of my all time ‘Top 10 Photography Tips and Techniques’! Are You Sharpening Your Images Enough? I’ve been shooting for many years now and nearly 20 years ago when I started out, there was zero call for digital copies of image. Sure in the early 2000’s I was shooting digitally commercially, but we always got requests for prints, not digital files for the web. Back then I would export my file at the largest size we’d be requested for (usually 12x18 [A3]) and I’d sharpen it a little for print but that was it, I’d just sharpen it the once for that large print size. Of course times have changed, but I’ve been guilty of not changing or adapting with them and me not sharpening my images enough has become one of those areas that I’ve overlooked for too long. The image above shows a ‘before’ (on the left) version and an ‘after’ version (on the right). The before is my print sharpening version and the after is the version I now upload to the web. It’s important to point out at this stage that there is no ‘correct’ level of sharpening. The purpose of this article is not about telling you that you’re doing it wrong, but really more about getting you to look at your own images and try a few different sharpening amounts on your own shots. You wouldn’t want to get ‘stuck in your ways’ now would you? Many of you that follow a large proportion of professional photographers online may have already noticed this emerging trend for overly sharp images. You have to remember that this look is something that simply could not exist 20 or even 10 years ago due to limits in technology. In recent years we’ve seen the rise of Fuji and Sony stomping all over the market with eye-wateringly sharp images straight out of camera thanks to not only their lenses, but their sensor technology too. With this has come the ability to then sharpen those shots even more in post. The reason I make this distinction of ‘even more in post’ is because regardless of what Mr Adobe tells you, you can’t refocus and ‘sharpen’ a soft focus shot, it simply doesn’t work. You need a razor sharp image to begin with before you can even consider sharpening your shot in these incredibly tack-sharp ways. So like I said, we’re only now seeing these ultra sharp images because even though sharpening in post has been around for years, the technology to create a sharp image to begin with has never been so strong. Remember: You can’t refocus an out-of-focus shot to make it sharper. The ‘sharpen’ tool in Photoshop doesn’t go back in time and retake your shot with a little more accuracy. It simply increases the contrast of adjacent pixels to present the illusion of your shot being ‘visually’ sharper at a distance. Panavision is world famous for it’s lenses in the cinematography world, but that’s not because they’re the sharpest lenses on the market. Sharpness is not always better. So, are you sharpening your images enough? Well this is subjective of course and I think this trend of razor-sharp images will see an ebb and flow as time goes on. We see a lot of commercial advertising images online and a lot of these are pin-sharp right now. As a result the aspiring photographers take note and we see a rise of pin-sharp images filter down. But as with any new trend, there will always be those that purposefully steer clear of the mainstream, commercial look. There are even now a rise in photographers who purposefully only shoot with older lenses due to a dislike of the ultra-sharp more modern lenses. There are other reasons to avoid these overly sharp images produced by modern cameras and lenses purely due to the aesthetics of it and we are seeing a lot of that from the world of cinematography right now. Many movies rely heavily of CG and 8K quality, but others believe that images with enough resolution and sharpness to see your DNA on screen is not what they want. For example a while ago I was at Panavision HQ here in London, whereupon I was told that Tom Cruise will not work on a film shot with the newest and sharpest lenses. He prefers the softer, slightly more flattering, older lenses. There’s nothing wrong with that, as like I said, sharpness is subjective, and it’s far from ‘the sharper the better’. In this section I’ll explain the process of how to sharpen your shots, but in all honestly, you most likely already know ‘how’ to sharpen your shots, it’s the ‘how much’ we need to sharpen them we’ll address. My post-pro process involves me importing my raws into Lightroom, adjusting exposure, white balance, colours etc, but NO sharpening whatsoever (beyond the very basic default amount already set on import). I then export my full size (12”x18”/4500x3000px) shots to Photoshop where I retouch the skin, do some local dodge and burn etc and then lastly I’ll sharpen them before saving. Here is where I’ve been very lazy in the past. I simply sharpen the full size file appropriately and then I re-save multiple versions out for the web from that one file. This results in that the original sharpen is completely unnoticeable when viewed on somebodies phone screen on Facebook. I literally may as well not have bothered sharpening it at all, because whatever I did to that huge A3 file is all but lost when downsized to the web. We need to consider the location that these files will end up when sharpening our shots and unfortunately, one size will not fit all. If you’re interested in my Photoshop sharpening process then you can view all the details here. My advice would be to do your retouch process as normal and even do your subtle large file sharpen as normal too. But at the end of all of that, be sure to add yet another step to the process and re-size and re-sharpen everything based on its intended final viewing location. So for example, if you’re going to post the shot on Facebook, resize it and re-sharpen it accordingly. Cool, so I just resize my shot in Photoshop, sharpen it and then save it right? To be fair, yes that is one option. But for me, I like to save out a few versions and I also like to add a little grain to my final images to trick some of the compression algorithms in social media sites. Thankfully I’ve already done a complete article on why and how I do this here Adding Analogue Grain to a Digital Image to Reduce Colour Banding. This is a trick I use to essentially fool the file compression engine into thinking there is more data in a shot than there really is. This can really help when it comes to reducing colour banding in your shots too, so for me and my colour work that’s incredibly useful. If you’re interested in learning more about it then definitely check the article. So in short, no, I don’t just resize it once, sharpen it and then save it out. I use a slightly different method but please feel free to do what suits your workflow and requirements. This may seem a little counterintuitive, but when I’ve done all of my Photoshop work, I now save my image once, at its original full size and unflattened. Once all of the images from a set are completed, I fire up Lightroom, resize them all there via the export tool and then I lastly reimport them one last time and sharpen and add grain accordingly for their size before finally saving it out one last time. Seems ridiculous right? Well you’re not wrong, but this is really only necessary if you a. want to add grain, b. want multiple versions of all different sizes and c. want your images to look their best online. One of the steps I really tried to skip was the resize. Unfortunately this is very important and simply cannot be skipped. For example I just tried to over-sharpen my large A3 file knowing that it would be viewed smaller. This really does very little and even with very high amounts of sharpening on the big file, the effect was almost unnoticeable when viewed online. So by viewing the shots above, you should see that even though these shots all have drastically different amounts of sharpening applied, they visually look almost identical when seen online. Note: When I say ‘sharpened in Lightroom’, I’m referring to the sharpen adjustment window halfway down in the Develop module. What Size do you Recommend for the Web? You’ll likely hear varying amounts for this one, but for me, I use 2048px on the longest side. I’ve found that this offers the best results on platforms like Facebook where this is the largest size you can get away with before some very heavy-handed resizing and compression kicks in on their end. Step 1. Import your final Photoshop document into Lightroom. Step 2. Go to export and then make the relevant size adjustments prior to actually exporting them. Step 4. Be sure not to check the ‘Sharpen For’ box. How Much Sharpening is Too Much? So now that we’ve resized our shots, import them back in and now we’re finally ready to start sharpening. But how much sharpening is too much? Personally, I really believe you need to do your own tests, with your own camera, lenses and workflow, but by all means look at mine and see what I determined to be the best sharpening amount for me and my work online. I tried a multitude of amounts and combinations, exported them and then uploaded them all to my site so that I could see what was looking best. Here’s a link to the results and my notes, but be warned, there are a lot of images here some of the tests may not make sense. But don’t worry as I’ve pulled out all the salient points and I’ll share them down below. From these tests I concluded that somewhere between 75-100 of Lightroom sharpening was a good amount on a 2048px file. Take a look below at some of the varying amounts and see for yourself. Like I said, I found the sweet spot for me to be between +75 and +100 sharpening. For the other sliders, I leave them at the default amount which is Radius 1.0, Detail 25 and Masking 0. I would again urge you to do your own tests as your camera brand and lens choice will play a significant role in your final decision. These images were all captured on the Nikon D850 with the 24-70 f2.8 zoom lens attached. The eagle-eyed among you will likely have noticed the grain already being applied in the above shots. I was very concerned about applying the grain at the same time as sharpening due to sharpened grain looking horrendous in images. One test I did was to resize, add grain, export, import, sharpen, final export. I then compared this to simply applying grain and sharpening simultaneously before the final export. Take a look at the results below. Click to enlarge - Resized and then sharpened +100, exported, imported, grain applied, final export. Click to enlarge - Resized and then sharpened +100 with grain applied simultaneously prior to export. In a perfect world you’d do it properly by resizing, import, sharpen, export, import and then finally add grain. But to be fair, I was actually very happy with how Lightroom handled the final file when you do both the sharpen and grain at the same time. Take a look for yourselves and compare the shots above, but for me, doing them together is fine and cuts out another step. This will vary from shoot to shoot but here’s the settings I use. The Grain window can be found in the ‘Effects’ tab towards the bottom of the pane in the Lightroom Develop module. Again this is a situation where I would recommend you play with varying amounts and looks to see what works for you. I tend to stick between 15 and 25 but black and white contrasty shots will visually respond well to larger amounts of grain compared to softer colour images that require less. But all of this is subjective and you may well hate the idea of adding grain to your shots altogether… which is also fine. So I fully appreciate that some of you may think that this way too much info. After all, we want to eat the burger, not meet the damn cow Jake. But for those interested in furthering their understanding of why and how certain things are achieved and arrived at, I’ve included all of my tests and thoughts above. For those with ADHD though, I’ve also included a quick-fire, step-by-step process below which outlines what to do, not why to do it. Be sure to resize your images for the web prior to sharpening. I import my retouched files from Photoshop into Lightroom and then export them at the new size of 2048px on the longest side. Be sure to do no sharpening at this point. Reimport your resized files back into Lightroom. Now apply the adequate amount of sharpening for your taste. I personally go for a sharpen amount of around 75-100 with a Radius of 1, Detail 25 and Masking 0. Add a small amount of grain to your image via the ‘Effects’ window in the ‘Develop’ module in Lightroom. I tend to keep the amount low, but enough so that it will reduce any colour banding that may appear under the heavy compression algorithms of sites like Facebook. For most of my images I tend to stick to around 15-20 grain amount, 25 size and 50 roughness. The final export and again, I just use exactly the same settings as in the original export earlier. 2048px on the longest side at 72dpi. One of the biggest take aways from this though is to reiterate once again how subjective sharpening is. I shared my thoughts on this with a before and after shot on social media the other day and several people mentioned that they preferred the original. That’s totally fine and I may find that I get tired of overly sharp shots too in the future. The point I’m making here is that you may have looked at this article and not agreed with what I’m saying and felt confused. If you prefer the softer version shot, that’s totally okay and there’s nothing wrong with that. Wherever you sit on this, I will just say that I thought the same thing until recently. I felt that I was sharpening my shots enough and it wasn’t until I did these tests the I actually decided to swallow the humble pie and decide to change my workflow to reflect a shift in the industry. Resizing and sharpening your shots may already be basic practice to you. In fact, if you started shooting in the last ten years this is basic, common sense to you and the fact that somebody made an article about it is laughable to you. But for those that come from print * cough * old people * cough *, we may not be doing this and, myself included, needed to get with the times. I also regularly run lighting and post-production workshops around the world, click on the banner below to see what’s currently available. 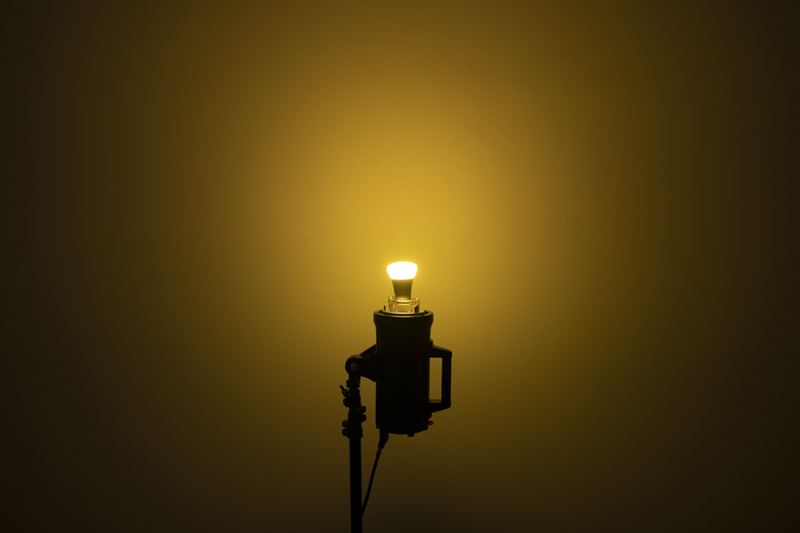 This is the last part of a three part mini-series of articles on LED lights for photographers. 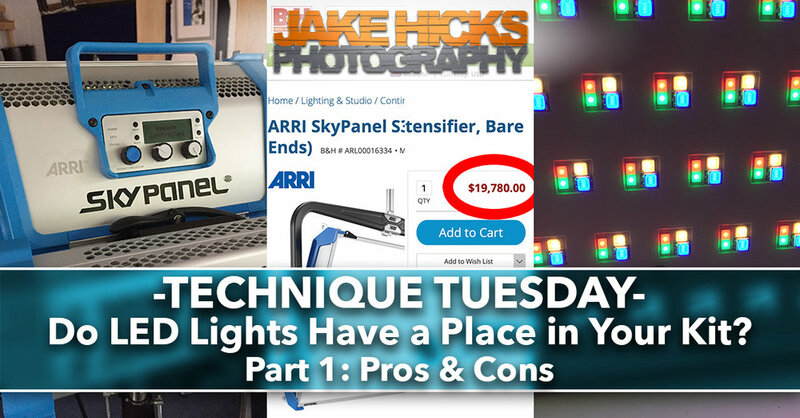 Part 1 looked at the pros and cons of commercial level LED lighting for photographers, so if you missed it, here’s a link Do LED Lights Have a Place in Your Kit? - Part 1: Pros & Cons. Part 2 saw us test the viability of using coloured LED bulbs in our strobes, including what to look for and what I recommend. Here’s the link to that one too if you missed it Do LEDs Have a Place in Your Kit? Part 2: Coloured LED Modelling Bulbs. 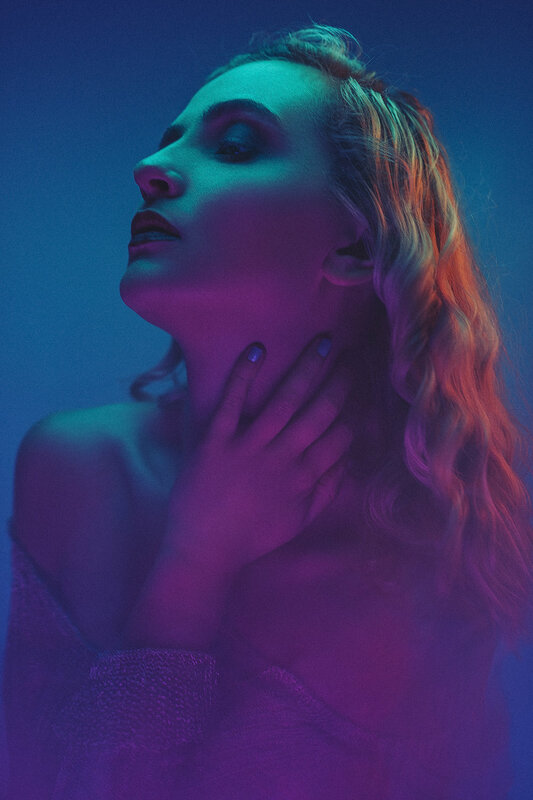 In our final part on using LEDs as photographers, I wanted to share a shoot I did where I replaced the standard tungsten modelling bulbs in my strobe with coloured LED modelling bulbs. After my tests last week that discussed which LED bulbs I would use, I decided to go with the mid-price Smart Life ones that were powerful, had colour controls via an app and weren’t too pricey. For this shoot I swapped out my regular tungsten modelling bulbs and I replaced them with coloured LED bulbs instead. In this article I’ll share the setup that I tried and I'll show you the lighting techniques I used as well as the resulting images. The aim of these setups was to test not only the colours of the bulbs with a model and not simply a white wall, but also how the bulbs reacted to the modifiers as well. Last weeks test showed how bright the bulbs were on their own, but with a soft box now attached, how bright were they and what camera settings did I have to use to make the bulbs viable. For these shots I was using the Smart Life bulb in three of my strobes. No flash will fire and the images will be captured using the ambient light from these bulbs alone. This was a simple three light setup and all with softboxes attached to the strobes. Remember: None of the strobes were firing flash. Instead they all had their tungsten modelling bulbs replaced with the coloured LED bulbs instead. All of these shots were taken using the resulting coloured ambient light from those LED bulbs. Light One: A 60x60cm soft box placed directly above the model so as to throw light directly down. Light Two: A 35x90cm strip box placed behind the model and off to camera right. Light Three: Another 60x60xcm soft box placed at the feet of the model and angled up to act as a fill light. Note: The whole setup was placed next to a white wall so as to allow the colours to spill past the subject and onto the background. This setup stayed the same even though I’ll share 3 varying looks below. All I did to get the variation of shots was to adjust the colours the bulbs emitted via the free app that came with the bulbs. The classic orange, blue and pink triadic trio. Note how these colours are using a 50% saturation value to give a softer more pastel tone. For this last setup, I really wanted to test the deep and highly saturated colours to see how the bulbs managed them. Here, two of my lights have the red colour being used; one on the fill from below, and one on the hair light to camera right. The deep blue colour is then used from above. You’ll have likely noticed that many of these shots contain blurred or refracted elements within them. All of these in-camera effects were achieved via my Shoot-Thrus that are exclusive to my Creatively Simple Lighting workshop attendees. More details can be found via the link below. Very easy to use - What you see is what you get which makes colour lighting far easier than with flash and gels. Convenience - Being able to adjust hue, saturation and brightness of all the lights instantly from your phone makes adjustments and changes very quick. 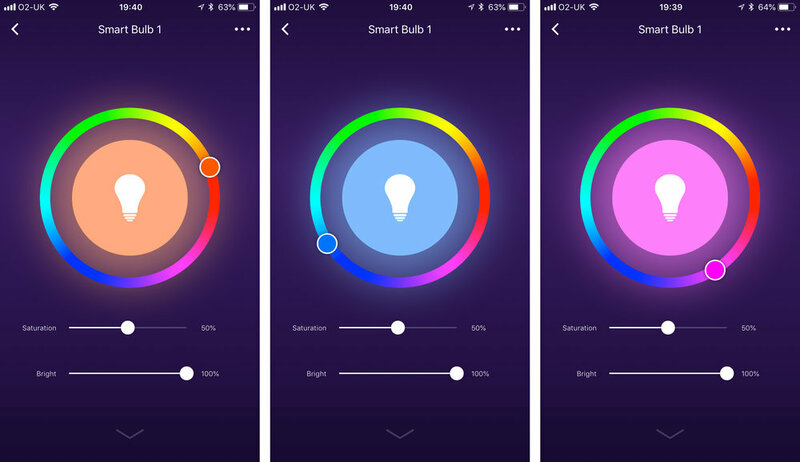 Colours - Although the app may not always show you exactly what you’re getting, simply adjusting the colours by looking at the bulb gives you almost every colour imaginable. Value - Granted you’ll need either a strobe or lamp to operate these, but the bulbs themselves are fairly cheap at £15 each. Modifiability - If you’re using these bulbs in place of a modelling bulb in your strobes then you’ll have access to a seemingly limitless about of modifiers for your lights. Power - The biggest immediately obvious downside for me is the brightness of the bulbs. But if you’re happy shooting at ISO 400 at f2.8 and 1/60th of a second, you’ll be fine. So if you’ve seen the results so far, weighed up the pros. and cons. and thought you’d like to try these out but aren’t sure if your strobe can accept these bulbs, what’s next? Many of the newer battery powered strobes now come with regular LED modelling lamps, but these cannot be changed, removed or coloured. However many of the older, cheaper strobes that plug directly into the wall come with regular screw fit tungsten modelling lamps. It was these bulbs that I swapped out for the LED screw in coloured LED bulbs. The strobes I used here were the Pixapro Lumi 200Ws. Note: The watts has no effect on the power of modelling bulb and a 1000w strobe will provide just as much power to the modelling bulb as a 200w strobe. The bulbs I used in the strobe was the Smart bulbs from Amazon. It’s these bulbs that took all the images you see above of the model. Remember that you dont need anything else for this to work, but you will need a smart device, and access to WiFi to make changes to the bulb. You’ll also need to download the free app to access the bulb interface. Please Note: I’ve been invited to be an Amazon associate and this means that I’ve linked you to my associate Amazon storefront above. As an Amazon Associate I earn from qualifying purchases. I only set this up the other day so I’ll let you know how it goes, but as I only get a 3% kick-back, it’s unlikely that I’ll be retiring any time soon. So if you like the idea of ambient coloured lighting like these LED bulbs provide, are there any alternatives? At this stage, it’s still limiting but there a couple of options to consider. 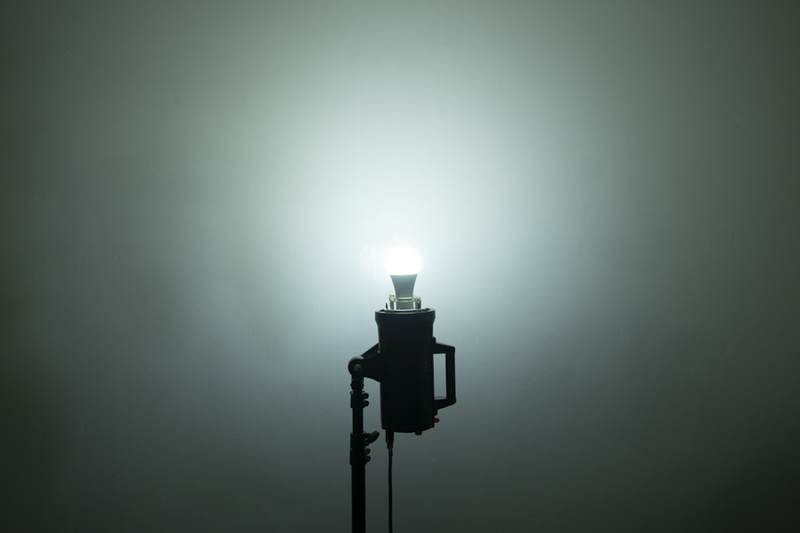 First you could look at a strobe specifically designed for LEDs and strobe modifiers in mind. An entry level LED strobe is the Daylite60D LED. This little guy has all the perks of having access to all S-Fit modifiers and allows you to see exactly what you’re doing via the ambient shooting that LED allows. The Daylite60D LED isn’t particularly bright at 60w / 6000 lumen, but that’s still 6 times brighter than the LED bulbs we were just using in this article and at a little over £150 it won’t break the bank either. At 60w/6000lm it’s far from the brightest LED strobe, but if you want access to S-Fit modifiers and ambient shooting, this is worth a look. If brightness is what you’re after and you can afford a little more, a look at the LED200D MKII is highly recommended. This larger strobe has access to all of the S-Fit modifiers like softvoxes and beauty dishes again, but with a lot more power. This 196w / 14,000 lumen LED head is nearly £400 but if you consider that we were able to shoot coloured portraits in this article with a 10w / 900 lumen bulb, this packs a punch. This LED strobe has no flash but can take all S-Fit modifiers making it a very versatile alternative and great for videographers. If you’re not bothered by the ability to add generic S-Fit modifiers to your LED then you could consider an entirely different LED system that has the ability to offer a wide variety of looks via its modular system. This Spekular kit comes with 4 separate LED strips that can be rearranged in a multitude of ways and of course each of these strips can each be gelled separately. This specialist piece of kit does come with a steeper price tag at nearly £650 but with each of the 4 strips producing 1,500 lumens / 15w, when combined it kicks out 6000 lumens / 60w. Although pricey, this system offers incredible quality white light and huge scope for unique looks via its modular system. I reviewed this light upon its release and you can see my thoughts and tests with it below. Overall these coloured LED bulbs were incredibly easy to use, plus seeing as they are casting light all the time unlike flash, it’s incredibly easy to set up your coloured shots and see exactly where each colour is falling on the subject. Also, having the ability and functionality to be able adjust each individual lights hue, saturation and brightness from your phone was remarkably convenient. With regards to the colours; I noticed that although the colour on the app didn’t always relate to what I saw in front of me, pretty much every colour I wanted was available via tweaking the app controls by looking at the colour of the bulb, not the app readout. Remember these are just regular bulbs so they can be plugged into environmental lighting like lamps. The biggest downside that did stand out of course was the brightness or power of the bulbs. The bulbs themselves aren’t hugely powerful and remember that all of these images were shot with ambient light, not flash. As a result, the room I was in needed to be completely dark prior to shooting otherwise the other ambient light in the room would have affected the results. For me, this brightness and need for a pitch black shooting environment will severely limit their use. But if you have complete control of the room, their ease of use and ability to quickly adapt and micro-manage colour at a moments notice is very powerful. Although I don’t think these bulbs will be replacing my strobes any time soon, I do think they are worth having in our bags though, especially if you’re a location shooter. The ability to screw these into existing lighting in the room or location can offer a whole host of additional options and I imagine these could be very useful to a real-estate shooter too. Take a look at the shot above and you’ll see that I’ve simply plugged a coloured LED modelling bulb into a regular lamp and then changed the colour of it to red. I used this in conjunction with a gelled strobe off behind her to camera-right and it looks great. So although the downside of brightness is an issue, I do think they have a place in our kit bags when nothing else can do what they do. In this weeks article I aim to test a selection of cost effective, coloured LED bulbs that can be used in your strobes instead of regular tungsten modelling bulbs. Are they any good? What creative options can they provide us? And is it worth spending a little more to get some decent ones? What are coloured LED bulbs? These are coloured LED bulbs that simply screw into regular lighting sockets. These could be in your lamps at home, they could even be in your ceiling lights, but more importantly for us photographers, we can screw them into our strobes in place of our regular tungsten bulbs. These coloured LED bulbs can replace your regular tungsten modelling bulbs in your strobes. Simply remove the old bulb and screw the new ones in. What’s wrong with my current modelling bulbs? These LED bulbs aren’t to replace your old tungsten bulbs, but instead they offer an additional creative tool to use as and when you need to. The reason you may want to consider using these is due to their ability to offer you thousands of colours at your fingertips. 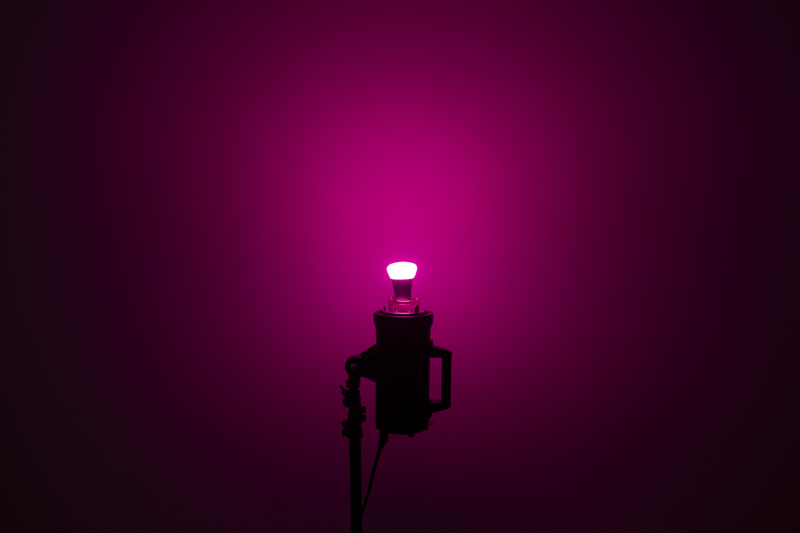 Some of the cheaper ones offer a handheld remote with a small selection of colours to choose from, but the more expensive LED bulbs give you access to thousands of colours via an app on your phone. 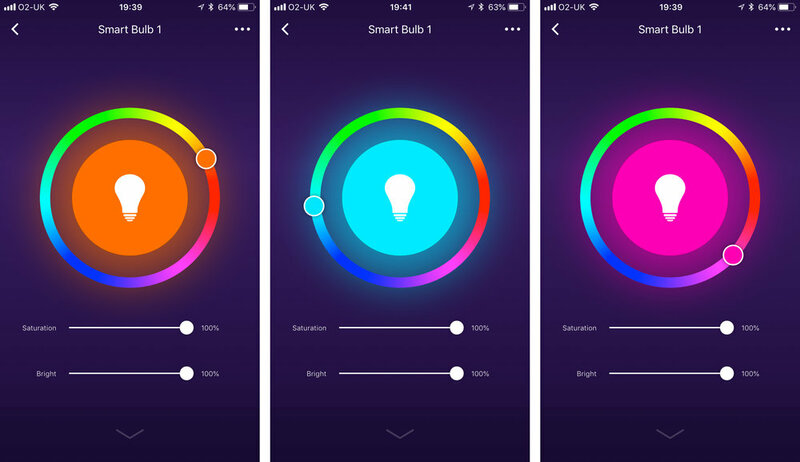 Choosing the colour you want on these LED bulbs is as simple as downloading the free app and tapping the colour you want. To test the viability of these coloured LED bulbs, I decided to get my hands on a few and see how they compared. I’ll be looking at what’s worth getting and what’s worth ignoring? I’ll also advise on what to look for if you decide to get some and any limitations that I foresee cropping up if you get them. Our first contender is the cheapest of the cheap, and there’s some good reasons for this low price. Firstly this one comes with a remote that can control the bulb. This has limited options but includes 15 basic colours as well as strobe and multi-coloured party effects that have no interest to us photographers. Next up we have a slightly more expensive coloured LED bulb, but with a little more money we now open up the world of adjustability via a smart phone app. 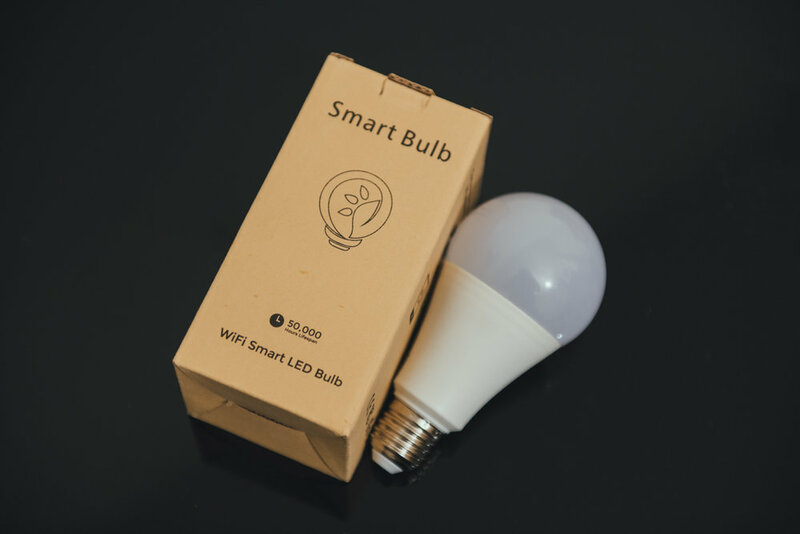 This particular bulb (along with many others in this price range) offers you the ability to play with thousands of colours and all you need is a smart device with the free downloadable app and access to wifi to use it. Access to wifi is always required plus you’ll need a smart device with the free app installed as well. Lastly I will be testing the Phillips Hue. 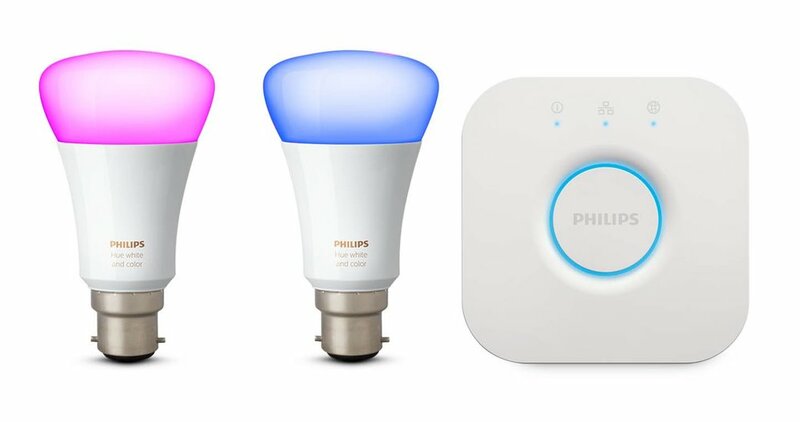 These Hue bulbs have been around a long time now and Philips were likely the mainstream instigator of bringing these bulbs and their colours into our homes a few years ago. As a result of this experience in the market, they’ve had time to improve and refine their design and their newer generation bulbs are far superior than their original release model. As you may expect, these Phillips LED coloured bulbs see a jump in cost. On top of a marked increase in cost per bulb, Hue bulbs also need access to a smart device to operate, access to wifi, but more importantly, they need an additional hub to operate them as well. This additional hub is not cheap, but you only need one of them to help operate all of the bulbs you have. As a photographer, you’ll likely already know that there is seemingly a million and one ways to measure light, and terms like ‘equivalent’ power get bounded about like we all speak science-teacher. If you’re a strobist like me, then you are most probably familiar with the term watts when it comes to describing power. For example your strobe probably has a power of around 200w-1000w. Our old tungsten lightbulbs were also measured in regular old watts too and you most likely had a 40w-100w bulb hanging from the ceiling. All makes sense so far right? Well how come when we see watts in relation to LEDs, they seem woefully underpowered. For example we might see a household LED bulb labelled with 7.5w. If I wanted to sit in the near darkness of a 7.5w bulb, surely a candle gives off more light than that right?! Well this is where ‘equivalent’ powers gets used so that we understand the power more clearly. For example we may pick up a 7.5w LED bulb and it may say ‘60w equivalent’. The reason for this is that those energy efficient bulbs or LEDs have a higher luminous efficacy resulting in more lumens per watt…..stay with me! Still here? Once again, there are far smarter people than me out there who can explain it to you, but in reality we don’t need to understand it, just know that this is what’s happening and here’s a handy chart to show some rough translations in power for your reference. Lumens to watts converter and its incandescent equivalent. Note: Incandescent is any lamp with a filament that gets hot and emits light (tungsten bulb). Before we get stuck into the tests and conclusions, I think it’s important to remember that I’m looking at these bulbs with the specific intention of using them for photography and not as they were perhaps intended which is domestic use in the home. The reason I make that stipulation now is because my conclusions are heavily swayed by the situations I’ll be considering them for, like using them with lighting modifiers in my strobes, not as a colour night-light in the kids room. The specific features I want to be looking at with these lights is going to be power and colour. The more power the better when it comes to these bulbs because for us photographers that means we don’t have to use extremely high ISOs that will introduce unwelcome noise into our shots. When it comes to colour, I want to be looking for how many colour options I have, how consistent that colour is and how ‘clean’ that colour is. Clean is a pretty lose term when referring to colour but I’m watching out for muddy colours or colours that are noticeably contaminated by other colours. LEDs, especially cheaper LEDs, have a tendency to have a green tinge to them and this makes for those muddy and sickly looking colours you often associate LEDs with. In the actual test the strobe reflector dish was not attached and the coloured LED bulb was in place of the regular tungsten modelling bulb. Diagram made in Set.a.Light 3D. To keep things simple, I set this up in a studio environment where I could eliminate any other ambient light from interfering and I set it all up on stands and tripods to keep things as fixed and as fair as possible. The strobe was setup about 40cm away from a white wall with no reflector dish attached and with the LED bulb in place of the regular modelling bulb. The camera was then setup about 145cm away from that and then they were both set to about 1m in height off of the ground. First up we tested the Mr. Cheap £4.99 no-name brand LED bulb. So first off we can see that with those camera settings, these bulbs are very dark. Now of course I can open up the aperture or boost ISO to improve that brightness, but I wanted to show their 7.5w power in relation to the other lights as being considerably darker. Also we can see a very limited colour range on display here and that is due to our very limited choices via that remote this bulb comes with. In reality this bulb comes with red, green and blue and some variances in brightness between them. As a result, colours like yellow that are normally the brightest colours when it comes to coloured light was awful here as the bulb struggled to mix two very dark red and greens to get yellow. Consequently this bulb produces very muddy colours outside of the standard red, green and blue options. Next we have the slightly more expensive Smart Life coloured LED bulb. Below are the corresponding settings I had applied in my free Smart Life app. Thankfully with this 10 watt bulb, our brightness is greatly improved compared to the previous 7.5w bulb and this is very usable at these camera settings without introducing too much noise via higher ISOs. Next is the colour options and colour rendition. With the Smart Life app is was incredibly easy to simply click on the colour you want. My only feedback on this is that although nearly every colour imaginable is available to you via the hue and brightness options, selecting it is not as easy as you might think. 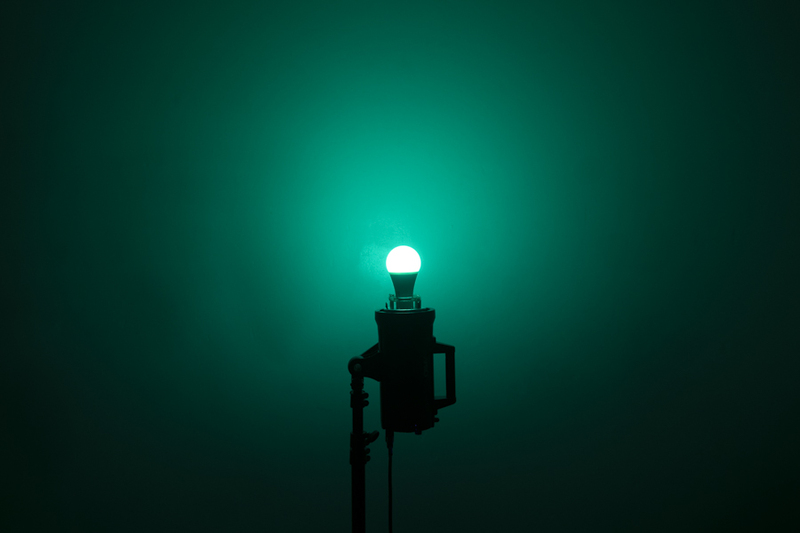 For example look at the light blue and green colours being displayed on the app in relation to the actual colour being displayed by the bulb. Like I said, I could nearly always find the colour I was looking for, but it was more trial and error over simply ‘clicking’ on the colour I wanted. Other areas of concern were the reds and yellows. Lastly, the Kelvin range on this bulb is not bad but again, a little fiddling with the options will provide better results over simply clicking what you think will be best. For example the fist image here is a result of max Kelvin and max brightness whereas you get a far cleaner white colour at 50% Kelvin as we can see in the second to last shot. It is nice to have this Kelvin function on a cheap bulb like this and if you wanted a warmer look then is is possible, I’m just not convinced it’s very accurate. At the top end of the coloured LED bulb spectrum in terms of cost, we have the Philips Hue bulbs. So again here we have a brighter bulb at 9.5w. It’s not quite as bright as the Smart Life bulb but still very manageable. Beyond the power though, the thing that was immediately obvious to me was the incredibly clean colour this bulb produced. Looking at the vignette of colour was amazing and you can see that the extra time they’ve spent to craft a unique bulb shape has paid off. 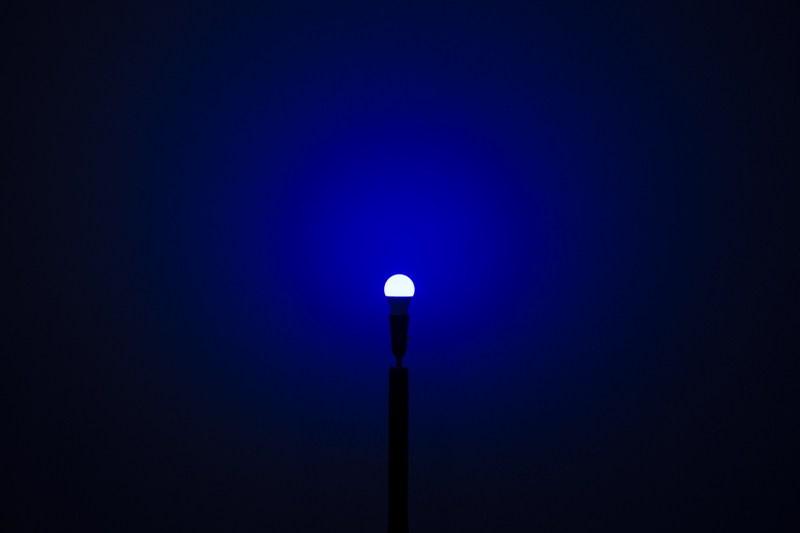 That unique Hue bulb shape spreads the light evenly, even though the source of light is being projected from the base of the bulb. If you look at the Hue bulb shape again, you’ll notice it’s slightly flatter on top. Couple this with an incredible piece of diffusion glass and these bulbs are ready to display colour in the best way possible. Beyond bulb design though we have the actual colour rendition itself. So what I’m referring to here is how the bulbs display the colour you’ve chosen on the app. I’d argue it’s far from perfect but it’s certainly very good. Most of the colours I pointed to on the app display a very similar colour on the wall. The Hue bulb also managed to display a very impressive range of colours and the difference between the reds, pinks and purples for example was excellent. Again it did struggle with the yellows as all LEDs seem to do (LEDs usually have to mix red and green light to get yellow. This often results in very sickly yellows as a consequence) but the Kelvin range seemed excellent. I felt that the warm and cool lighting options available via the Kelvin seemed surprisingly accurate too. Overall this was an excellent product and clearly deserved to cost more than the cheaper counterparts. The Philips Hue bulbs are great, but you can’t use them without their hub. I think it’s impossible to argue that the Philips Hue was indeed the far superior product in terms of colour, but there are caveats to its top-dog status. First off, it’s considerably more expensive. Not only for the cost of the initial bulb which are £44.99 each! But you also need a hub before even a single bulb will work. You can buy the hub separately but realistically you’ll want to be buying them together and a started pack of a couple of bulbs and hub will set you back £140. Now granted this isn’t much in terms of cost to us photographers when it comes to lighting, but will you be using these very often? I have to say that due to their very low power output, no, you will not be using these very often. That’s not Philips’ fault either as they are designed for the home not studio lighting. So when would you be using any of these bulbs? Well for me, I see them as having a place in your bag for certain locations. I know I’ve shot in situations where I could have swapped out the existing location bulbs and I could have had access to any colour I wanted and maintained the natural feel of light in the environment. Of course the Philips Hue would do a great job at that….. but it needs that damn hub to operate them. Granted you could take the hub with you too, but that then needs power and an outlet on location and it’s yet another thing to take. Conversely, the super-cheap bulb requires no wi-fi or hub, but alas they are so weak they are borderline useless to us photographers. For me, the best of both is the Smart Life bulb as it’s a happy medium. It’s actually the brightest of the bunch and it has pretty good colour options. Granted the colours you tap on the app aren’t displayed by the bulb, but with a little tweaking you can usually get the colour you want. Plus, it dosnt’t need a pesky hub to operate them. If I was setting up these bulbs in a permanent studio space then I’d definitely go for the Hue, but for occasional use here and there and sometimes on location, I’d get the Smart Life. Like I mentioned at the start of this article, this is only the second part of a three week look at LEDs for us photographers. I’ve actually ordered a couple more of those Smart Life bulbs and in next week’s article I will be sharing a couple of portrait shoots where I use these coloured LED bulbs. I’ve already used the very weak, cheaper bulbs on a portrait shoot like you can see in the shot displayed here. I added one of the bulbs to the lamp the model is holding and then another to a strobe in place of its regular tungsten modelling bulb. I found it pretty interesting how these bulbs can open up new creative elements so I look forward to testing them further and I’ll get back to you with the results then. To avoid making this one article ginormous, I aim to separate it out into three parts. Part 1will be the pros and cons of LEDs, part 2 will be testing a variety of coloured LED bulbs in our strobes and part 3 will cover using them on a model shoot including advice and lighting diagrams. In this article I look at what LEDs actually are, how they started out and where they sit in the world of photography now. 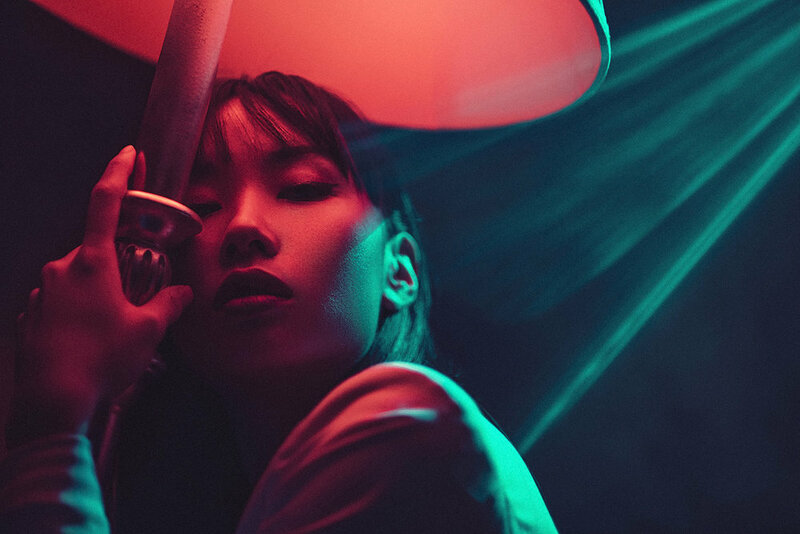 Many photographers have switched over to using LEDs, but do they have a place in your kit and why aren’t we all using them? LEDs have been around since the 1960’s, but back then they really only existed as infrared and were far from being bright. Move into the 70s and some of you may even remember the first LEDs in your little calculators, the ones with the bright red light-up numbers. But again, LEDs weren’t very bright and they were really only limited to the colour of red. LEDs struggled to find a significant place in the market due to their limited colour and brightness and it wasn’t until the late 80’s until a commercially viable blue LED was brought to market. From here great strides were made as LEDs quickly became brighter and with the introduction of green LEDs, we were now able to make white light via the combination of Red Green and Blue light. LEDs have clearly come a long way, but why don’t we see more of them day to day in our photography? As photographers we use flash a lot of the time and we even use the occasional tungsten ambient light too. So is there a place for the LED light in our kit? We already use flash and tungsten, do we really need to consider LED lights too? So why aren’t we using LEDs for all of our lighting needs? Granted, LEDs have seen huge growth in recent years as prices have come down dramatically and many of us now use LED bulbs in our homes, after all, there are so many benefits to using them. Due to their incredible efficiency, LEDs are cheap to run, plus they won’t give you third degree burns thanks to not having coils of scolding hot metal inside them like tungsten bulbs do. So why aren’t we as photographers using them for all of our lighting needs? For me there are a couple of reasons I’m hesitant to switch to LEDs anytime soon. First off, they are nowhere near as powerful as flash, so they aren’t going to replace our strobes anytime soon. But we could most definitely use LEDs for ambient light shots in a controlled studio right? Modifying the light - To make LEDs brighter, we simply add more of them and that in-turn makes the light source physically bigger, hence why we see so many LED ‘panels’ and very few LED ‘spots’. These big panels of light then become hard to modify, imagine trying to modify a softbox… if you weren’t allowed to remove it. These panels become almost impossible to use in conjunction with specialist modifiers like a beauty dish or spots etc. Yes there are smaller, far brighter LEDs now but they still aren’t up to the power of a tungsten light in the same space. Light drop-off - There are far smarter people than me who can explain this to you, but the ‘perceived’ light brightness of a panel of LEDs is not as bright as you may think. When light is spread out over a larger surface area it appears to drop away far quicker than if it’s coming from a single point. For example, imagine looking at a single 100w bulb, but now imagine looking at one hundred individual bulbs all at 1w each. The wall of 1w bulbs appears unbearably bright to us when in reality each of those bulbs is barely giving out any light and that light power drops off very quickly due to how spread out it is. LEDs are not as bright as they appear due to their panel size. Click to enlarge: Coloured light does not mix like coloured paint does. When red, green and blue light mix, they create white light. Colour - Okay so this is a big one. Colour technically exists at one end of the spectrum as infra-red all the way through the visible spectrum to ultra violet. It’s possible to have infra-red and UV LEDs, but that’s not particularly useful to us photographers. To achieve the visible colours, many LEDs combine Red, Green and Blue to do so. For those unaware, when the RGB lights are combined, they create white light. In theory then, this means we have every colour possible at our disposal. The problem with this RGB combo method is that it can inherently produce very inconsistent colours. Ironically, LEDs ability to produce almost limitless colours without the aid of additional filters makes them incredibly versatile to many. But for photographers, colour is vital and my personal experience has seen very inconsistent and very muddy colours from LEDs. But as with everything, there are exceptions to this rule…. if you can afford it. As with many things in life, if you really want something and you’re willing to pay for it, then it’s out there…. (or so I’ve heard). As a result, there are certainly exceptions to all of the drawbacks I’ve mentioned above and although we’ve yet to see an influx of very bright LEDs in a small bulb, the colour issues have been pretty much solved….. But like I said, that comes at a cost. For example the TV and movie industry never use flash and a lot of those productions have all moved over from tungsten to LEDs now. Companies like ARRI currently produce unfathomably good colour rendition in their LED lights….. it’s just that their 25.4 x 11.8" SkyPanel costs a cool $5800. Again this design is fantastic for cinema as you’ll most likely want these large surface area panels to light large scenes, but you can see how it might be tricky to modify this to a single spot of light. For reference, this panel gives out a tungsten equivalent of 2000w so the ARRI LEDS certainly pack a reasonable punch when combined. Another direction that ARRI is taking their LED heads is to replicate the size, design and functionality of the old theatre style heads. ARRI’s L-Series heads function the same way the old heads did and you can modify and direct them just like the old heads too. Here we have a 450w equivalent output LED head for $2431. For context, this ARRI L5 LED head outputs an equivalent 450w light. That seems like a decent amount of power, but that’s nothing on a movie set and by comparison we can get a 5000w tungsten light from ARRI for the same price. So we’re at a trade-off. We have the unbelievable convenience of the LED head where we can dial in almost any colour imaginable….but at a cost. Or we can get five 450w equivalent tungsten heads and just throw on a few gels of the colour we want anyway. I promise not to turn this into an ARRI advert as I have no affiliation with them, but to keep it easy to compare price and value, I’ll continue to use them as an example. ARRI, in my mind has achieved unbelievably good colour rendition in their LED panels. A while ago I got the chance to play with one of their SkyPanels and I was genuinely blown away by its ability to produce stunning, evenly distributed colour at the touch of a button. If you’re interested then I’ll share some of my shots and videos from my test below. Take note of the four LED light blocks on these panels. A red, green and blue, plus a fourth white one. Essentially ARRI get around the LED white light problem by having four LEDs in their panels. A Red, Green and Blue one, but they also have a fourth white one that appears to deal with the Kelvin spectrum thereby allowing the panel to have beautifully clean white light as well as everything in between. (Note: I do not have confirmation that this is all that white LED does, but I am making an educated guess based on my tests). Another thing to note here is how LED panels deal with power. If you want more power, you simply make a bigger panel and add more LEDs. It’s far harder to simply make a single LED bulb powerful on its own. Its power comes from simply having more of them. Also if you take a look at the video I took here, you should instantly see how phenomenally convenient the colour gel system is and the sheer level of micro adjustments you can make to colour presets, tone, hue, Kelvin and brightness is staggering. 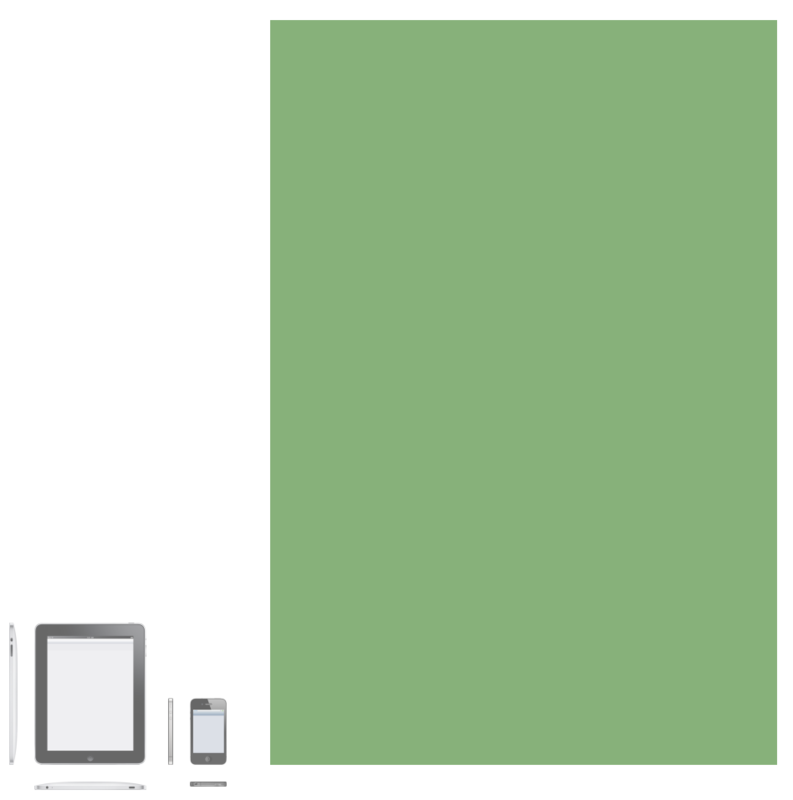 The green square here is the 50x34” panel in comparison to an iPad and iPhone. So what’s the problem? If you’ve got the money, LEDs are the solution to all your lighting needs, right? Yes, LED technology now is phenomenal and although very expensive, these $5000 lights are nothing to a film budget of $250,000,000. The only real drawback is power. Even the most powerful ARRI SkyPanel I’ve seen was a 50”x34” panel and that output 8000w tungsten equivalent. Take note of the size of that LED panel. That’s 50”x34” or 127cm x 86cm. That’s a very big panel and again they’re obtaining that LED power by simply adding more of them. But 8000w is still a lot right? Well it’ll cost you nearly $20,000 and when you compare that to a powerful tungsten head, the price becomes even harder to swallow. Take one of the most powerful ARRI tungsten heads and you’ll see the ARRI T24 monster kicking out 24,000w of power! Plus it’s significantly cheaper at $13,000. One of ARRI’s most powerful LED lights. The S360-C outputs and 8000w equivalent and it’ll cost you nearly $20,000. One of ARRI’s brightest tungsten heads outputs a staggering 24,000w and will cost a mere $13,000. Of course there are downsides to using a 24,000w tungsten head. One being that it takes a huge amount of power to run the thing, but more importantly, I should think dealing with 24,000w of searing hot tungsten is utterly terrifying to operate! Note: One of the B&H ‘recommended’ accessories for this ARRI T24 was a pair of leather gloves! I should think with a tungsten head kicking out 24,000w of light, the spacesuit from the film ‘Sunshine’ would be more appropriate! So like we’ve seen above, LEDs are now in a phenomenal spot right now in terms of colour…if you can afford it. But we keep coming back to that power issue. Tungsten bulbs do an amazing job of seemingly cramming the power of a dying star into a tiny space, whereas the LEDs solve the power problem by simply ganging up. But this method does have its limitations and even on big movies with seemingly infinite budgets like Blade Runner 2049, even they still resorted to the old tungsten and gels method. One of the more famous lighting rigs they used on the film consisted of 256 ARRI 300w Fresnels in two concentric circles above the set (yes you read that right; two hundred and fifty six tungsten heads on a single set….marshmallows anyone?). If you’re interested in the full article on this then you can check it out here on the ARRI site Lighting "Blade Runner 2049"
256 separate ARRI 300-watt Fresnels in two concentric circles on the set of Blade Runner 2049. I’m not saying this couldn’t have been done with LEDs, but I think if a movie like Blade Runner 2049, with a budget of $175 million had thought it was possible with LEDs, they’d have done so. Instead though, they decided to burn through a staggering 1,400 rolls of gels thanks to the natural predator of all gels everywhere, the tungsten head. How does this relate to photographers? So once again we’re back at how this all relates to us as photographers. Should we all be switching to LEDs? For me the answer is a resounding no. First off, I’ll just say how blown away I am by the colours created by these ARRI LED panels. Seriously it’s a sight to behold. But even with all that control and versatility at my fingertips, I’m still concerned about how hard they are to modify. Sure you can add soft boxes and a grid that sort-of works to direct the light slightly, but for the more contrasty light that produces specular highlights in targeted areas, specifically people, I struggle to make it work. Plus of course the LEDs are nowhere near the power of flash. Capturing movement in sharp focus and at low ISOs or with f-stops like f11 or f16, the power of LEDs will struggle. But is there another LED option available to us photographers? Granted we’ve just discussed some of the concerns surrounding the LEDs and why we aren’t all ditching our flash heads in favour of them. But there may be an alternative solution worth considering and they are available to us at a fraction of the cost; regular LED coloured lightbulbs. These screw-in bulbs can be inserted into your strobe heads in place of your tungsten modelling bulbs. Simply remove the tungsten bulbs and pop these LED bulbs in instead. What’s so special about these LED bulbs? Well they contain coloured LEDs and some of them have the ability to produce thousands of colours, all of which can be controlled and dialled in via your smart phone. Using coloured LED bulbs is as simple as removing the tungsten modelling bulb and inserting the LED one instead. Then with an app on your phone, you can change it to whatever colour you want, instantly! In next weeks article, I’ll be testing three of these coloured LED bulbs and sharing my thoughts and recommendations on them. These won’t be replacing your strobe anytime soon, but with the ability to add all of your current strobe modifiers to these coloured LED bulbs, it could open up a world of options and convenience if you’re not overly concerned about masses of power. Next week I’ll be testing three Coloured LED bulbs. I’ll look at the cheap, basic model as well as a more reasonably priced one. And I’ll also be looking at the more expensive and supposedly impressive Philips HUE bulb.